New Zealand is home to some of the world’s best trails with its Great Walks network. These trails are all maintained by a very capable staff that keeps them pristine throughout the year. The trails mostly wind around the back country of New Zealand, and they give you the opportunity to see New Zealand in a whole new way. Here are some of the best walks that New Zealand can offer, and you are sure to find one that will enchant you. This is one of the easier walks, and it is perfect for families. The whole walk itself takes about three to four days, and you must book campsites before going on the walk. This walk largely goes around the Lake Waikaremoana area, and you will be able to see a wide range of terrains. There are also many swimming and fishing opportunities along the way, so don’t expect this just to be a sightseeing tour. You will be able to see many types of trees and vegetation, and the bird life is very abundant. This is a complete departure from the Lake Waikaremoana walk. You will find ice and volcanic craters around the Tongariro area. There is also a long line of glacial formations that are simply stunning. This walk takes about three or four days, and you need to dress in waterproof clothing that is suitable for winter conditions. This trail sometimes gets too cold to safely let people walk it, so be sure to speak with officials before going on the trail. This isn’t technically a Great Walk, but the New Zealand registry puts it into their Great Walks network. The reason it isn’t technically a Great Walk is because there is no walking. This is a river journey that is completed with a canoe. The entire journey should take five days, but there is also a shorter path that only takes three days if you don’t want the full experience. The Whanganui Journey is rife with valleys and mountains, and the river winds around the many trees of New Zealand. You can also go through the Whanganui National Park while doing this journey. This is a trail that goes along the coastal line. There are many rivers that you can cross to reach new areas of land to see fun and exciting sights, and most of the rivers have bridges. A few are tidal crossings, so that only gives you a few hours to cross when the water is low. This trail takes about three to five days, and you can seek lodging in one of the campsites along the way. You need to book a campsite before doing the trail. There are also water taxis that can take you across the water if you feel tired, or if you want to see new things along this trail. This trail is for those that want to walk alongside a rocky environment. You start around forested shores, but you will soon make your way up a hill in the Kepler Mountain region. You can get a view that will show you the main lakes and rivers around the area. There are service huts along the trail, and the entire journey takes about three to four days to complete. 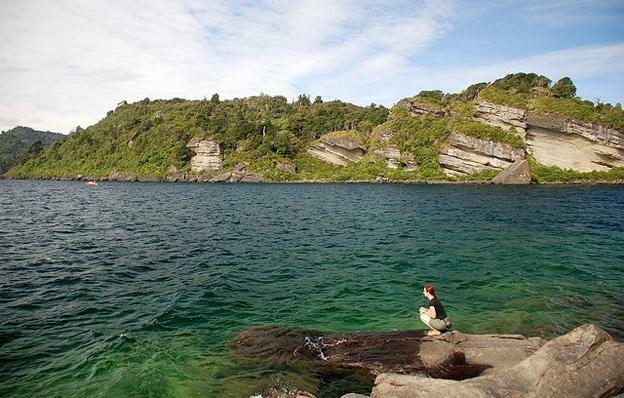 This trail occurs on the Stewart Island, and you can only reach it by taking a ferry or a plane. This trail is not quite as easy as the others, so be sure that you have at least a moderate level of fitness before attempting this one. It can be completed in three days, and you will meet the many animals and plants nesting on the Stewart Island. The Great Walks of New Zealand offer you many new experiences. You will be able to experience the many natural wonders around the New Zealand area, and your family can easily join in. This also gives you a great chance to test your level of fitness by seeing how well you do on the various trails. Many people who finish one trail can’t wait to start another. Give yourself enough time to finish at least two of the trails before leaving. Don’t rush the experience. Give yourself time to enjoy everything that New Zealand has to offer. Rose the author of “The great walks of New Zealand” writes for Guest Blogs Galore on a variety of different topics.